SS 317 Tubes, 317 Stainless Steel Pipes, SS UNS S31700 Pipes, ASTM A312 Stainless Steel WRN 1.4449 Seamless Pipes & Welded Tubes Supplier & Exporter in India. We manufacturer & export Stainless Steel 317 Pipes and Tubes for engineering purpose, ERW pipes & tubes for water, gas & sewerage and various automotive & industrial applications. These 317 pipes & tubes are tested on different quality parameters and are available in SEAMLESS, ERW, WELDED and FABRICATED forms. We strictly follow the set industrial standards and norms in order to come up with high-grade AISI 317 Stainless Steel Seamless Pipes & Tubes. Our SS 317 pipes and tubes can easily withstand corrosion, extreme temperature and chemicals. These pipes & tubes are used across different industries like construction, plumbing, etc. & are capable of offering excellent performance in the most adverse environments. These pipes & tubes are available in various sizes, shapes as per the requirements of our clients. These pipes & Tubes are offered at very reasonable rates to our clients. Our stainless steel 317 products includes tubes and pipes, SS 317 Pipes, SS 317 Tubes, Stainless 317 Seamless Pipes & Tubes etc. These products are available at best possible prices which is another important feature exhibited by our products range. 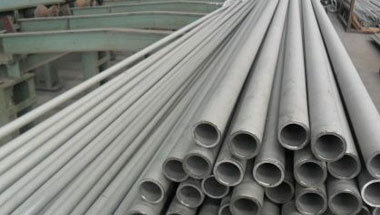 Stainless Steel 317 ERW Pipes, SS 317 Seamless Tubes, Steel 317 Welded Pipes, Stainless Steel 317 EFW Tubes, Stainless ASTM A213 317 Seamless Pipes Manufacturer in India. Algeria, Colombia, Kuwait, Mexico, Peru, Iraq, Ethiopa, Houston, South Africa, Russia, Morocco, Ghana, Sudan, Cameroon, Angola, Indonesia, Malaysia, Canada, Democratic Republic of the Congo, Bahrain, Uganda, Argentina, Egypt, Nigeria, Thailand (Bangkok), Azerbaijan, Brazil, Chine, Mozambique, New Zealand, Israel, Australia, Trinidad and Tobago, Africa, Iran, Italy, Vietnam, Sri Lanka, UAE, Saudi Arabia, London, Jordan, UK, Tunisia, Dubai, Venezuela, Kazakhstan, Germany, Turkey, United States. Brazzaville, Jeddah, Amman, Beirut, Bethlehem, Sharm el-Sheikh, Durban, Casablanca, Giza, Doha, Luanda, Nairobi, Data from the UN, Accra, Yaoundé, Cairo, Mogadishu, Lagos, Colombo, Khartoum, Dubai, Tripoli, Pretoria, Manama, Tel Aviv, Kaduna, Maputo, Kolwezi, Harare, Lusaka, Kampala, Dakar, Ibadan, Addis Ababa, Antananarivo, Abu Dhabi, Douala, Bamako, Byblos, Singapore, Riyadh, Cape Town, Hong Kong, Abidjan, Tehran, Conakry, Soweto, Johannesburg, Aqaba, Port Harcourt, Mecca, Bulawayo, Mbuji-Mayi, Istanbul, Fez, Subra al-Haymah, Algiers, Rabat, Port Elizabeth, Cairo, Ouagadougou, Kano, Benin, Kinshasa, Freetown, Muscat, Zaria, Lubumbashi, Jerusalem, Omdurman, New York, Dar es Salaam, Alexandria, Dammam, Maiduguri.